Senate Judicial Proceedings Committee Vice Chairman Will Smith (District 20 – Montgomery County) shared in a Wednesday morning Senate session that he will depart Maryland for Afghanistan on March 29th. Smith, an intelligence officer in the United States Navy Reserve, has been a reservist since 2009 and is being called to active duty. Smith, the Senate Chairman of the Maryland Veterans Caucus, is being deployed as a part of Operation Resolute Support. The effort began in 2015 and is a NATO-led train, advise and assist mission consisting of over 13,000 troops. An attorney by profession, Smith has served in the Maryland General Assembly since his election to the Maryland House of Delegates in 2014. 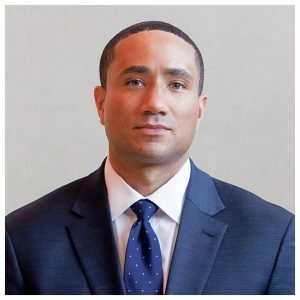 He was subsequently appointed to the Maryland Senate in December of 2016 following the election of then Senator Jamie Raskin to the United States Congress. Reelected to the Maryland Senate in the 2018 elections, Smith began his tenure as Vice Chairman of the Senate Judicial Proceedings Committee at the beginning of the 2019 legislative session. A married father of one, Smith is expected to return home by Thanksgiving. His legislative office will remain open throughout his deployment to tend to constituent requests and concerns.